AMSTERDAM and MIAMI, Feb. 14, 2019 /PRNewswire/ -- Royal Philips (NYSE: PHG, AEX: PHIA), a global leader in health technology, and Miami Cancer Institute, part of Baptist Health South Florida, today announced the implementation of Philips' IntelliSpace Precision Medicine Genomics in its new state-of-the-art genomics laboratory. The multi-year agreement will power a new initiative to help inform clinical treatment decisions and provide visibility into relevant clinical trials so oncologists can make better informed, more personalized care decisions for patients. 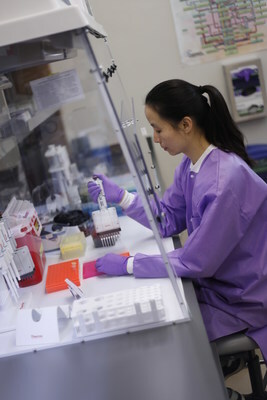 "With the implementation of this system, Miami Cancer Institute is among a small number of elite cancer programs across the globe to bring all aspects of precision medicine under one roof," said Jeff Boyd, Ph.D., associate deputy director, translational research and genomic medicine at Miami Cancer Institute. "It's exciting to have our in-house genetic experts work alongside the patient care team, expanding access to personalized genetic analysis and individualized medicine, to patients in South Florida, as well as the Caribbean and Latin America." Genomic testing continues to provide the deep insights needed to enable more targeted and personalized treatment to enhance care and lower costs. However, implementing a precision medicine program can be difficult due to challenges like interpreting an increasing amount of complex data and the inability to share and communicate information across departments. 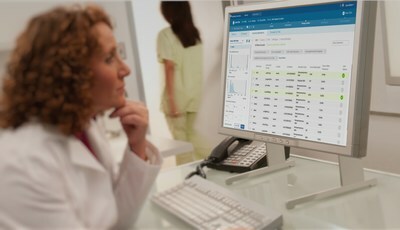 To help healthcare organizations keep pace with rapid developments in the field of genomics, Philips IntelliSpace Precision Medicine brings together genomic data alongside disease histology and patient phenotype for a complete biomarker-informed diagnostic and therapeutic picture of a patient, while also providing a seamless clinical workflow platform for care teams. "At Miami Cancer Institute, we're committed to a vision to support next generation sequencing to use genomic data to help find the most appropriate and efficient treatment options for our patients," said Qi Wei, Ph.D., director, genomics laboratory service at Miami Cancer Institute. "By leveraging this solution from Philips, we can provide our oncology care teams with the information they need to make better care decisions, helping our institution deliver on our mission to provide the highest clinical quality possible." This new initiative with Philips and Miami Cancer Institute also helped accelerate the lab's launch of the TruSight Tumor 170 (TST170) next-generation sequencing testing service, in collaboration with Illumina and N-of-One. TST170 is a test designed to cover hundreds of genes and variant types associated with common solid tumors. This allows multiple biomarkers to be evaluated from one sample, providing more efficient and quality interpretation of molecular tests in a cost-effective way. Philips IntelliSpace Precision Medicine Genomics will help with data capture and storage of variants, annotations, clinical interpretation and recommended treatments to support adherence and variant-based patient outcomes. "With the healthcare landscape constantly evolving, especially in areas related to precision medicine, hospitals and health systems need comprehensive solutions to present complete patient information quickly and accurately," said Louis Culot, General Manager, Oncology Informatics, Philips. "At Philips, we're committed to partnering with leading cancer centers like Miami Cancer Institute at Baptist Health to bring the highest level of precision diagnosis to cancer treatment options to help improve clinical quality, and reduce costs to treat patients more effectively early in their cancer care journey." IntelliSpace Precision Medicine Genomics is powered by Philips HealthSuite, enabling health systems to make informed, secure and timely decisions, in the right place at the right time. The Philips HealthSuite digital platform is a cloud-based, open platform of services, capabilities and tools designed to inspire and enable the development of next generation connected health innovations. For more information on Philips' full portfolio of integrated smart systems, devices, software and services that will be spotlighted at the upcoming HIMSS Global Conference & Exhibition in Orlando, FL, Feb. 11-15, 2019, visit www.philips.com/himss and follow @PhilipsLiveFrom for #HIMSS19 updates throughout the event.